Our identical twin girls, Gemma Paige and Lilah Rose. 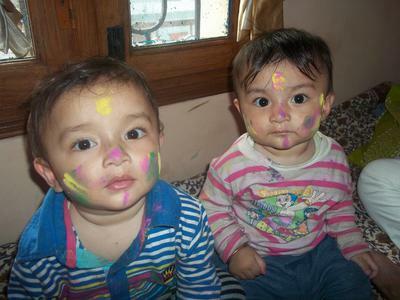 2 years old. Best Friends. 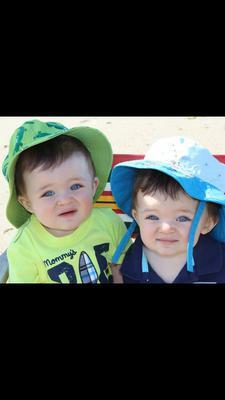 TwoCute™ Twins Photo Contest - November 2013 Winner! 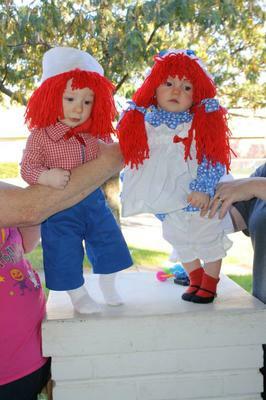 Olivia and Rhys dressed as Raggedy Ann and Andy for their first Halloween. Bam Bam Took All My Candy! Bam Bam Took Pebbles candy!! 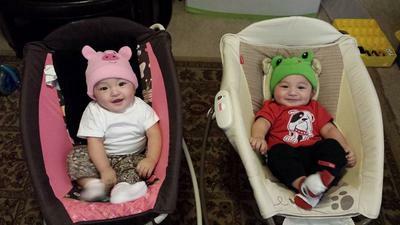 Josephine and Juliette celebrating their 5 month birthday!